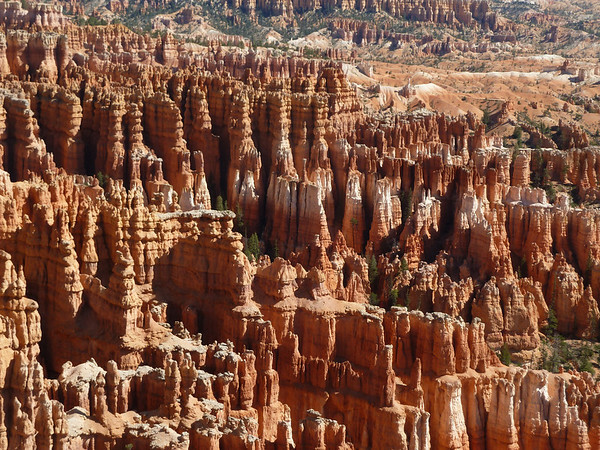 Having visited Utah’s other four national parks and exploring much of the Colorado Plateau over the years, I was especially excited to have finally arrived at Bryce Canyon National Park. 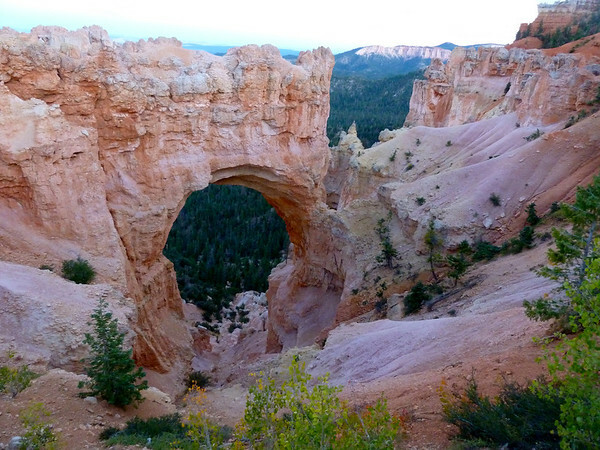 Bryce is relatively small, only 53 square miles. 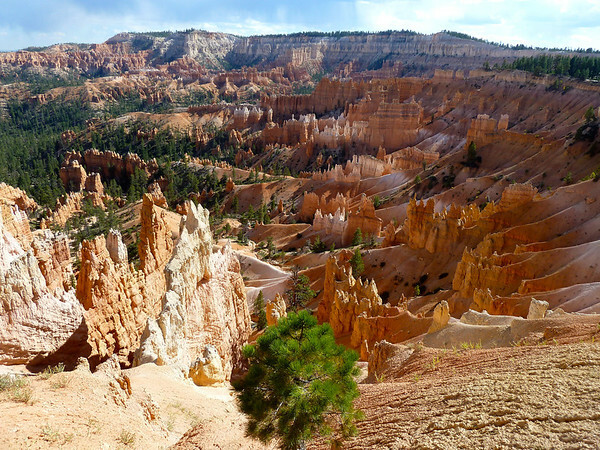 Over the last 200 million years the land has been shaped first by plate tectonics and then by wind, water and ice erosion. 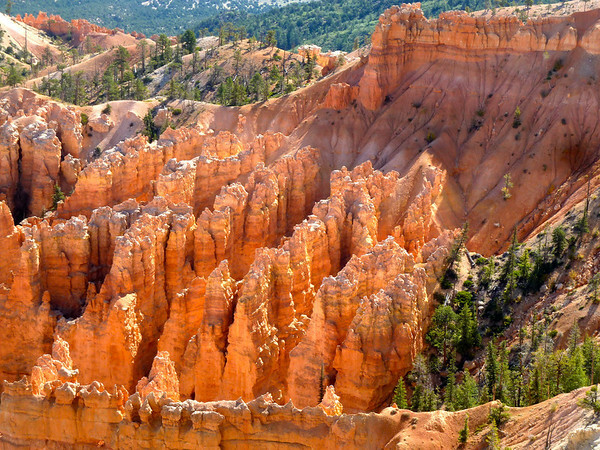 The result is wildly colored sandstone and limestone formations known as hoodoos. 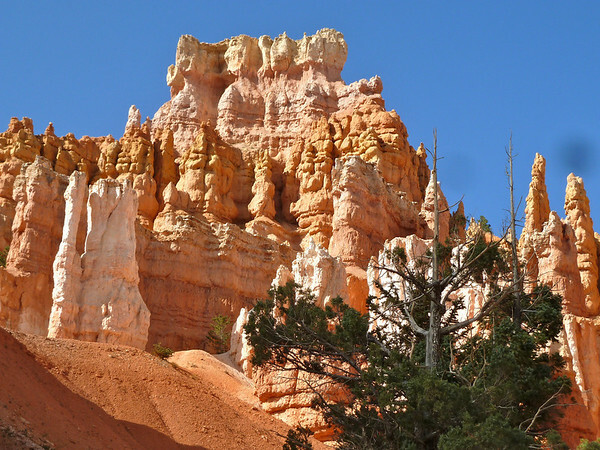 On a half day driving tour, one can view the main attractions from roadside pullouts. 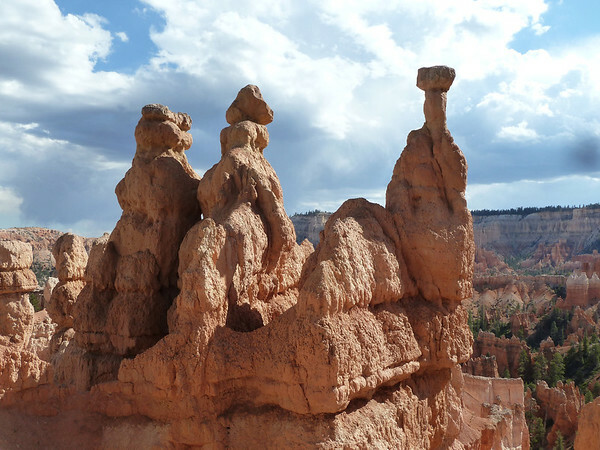 The Ampitheater and Inspiration Point are two of the most popular viewing spots, especially at sunset and sunrise as the quality of light naturally enhances the reds, oranges and whites of the hoodoos. 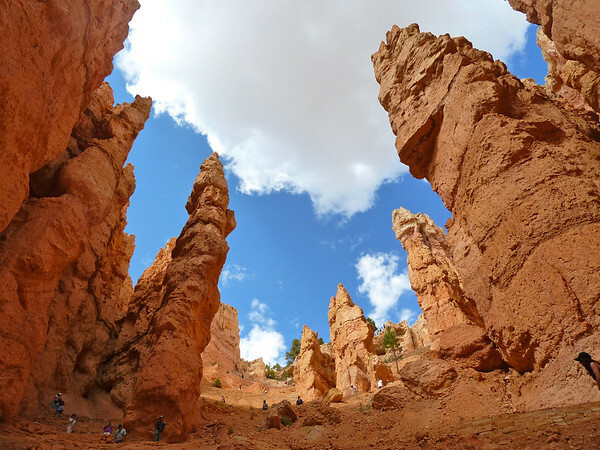 Additionally, there are many hiking trails through the various rock formations. 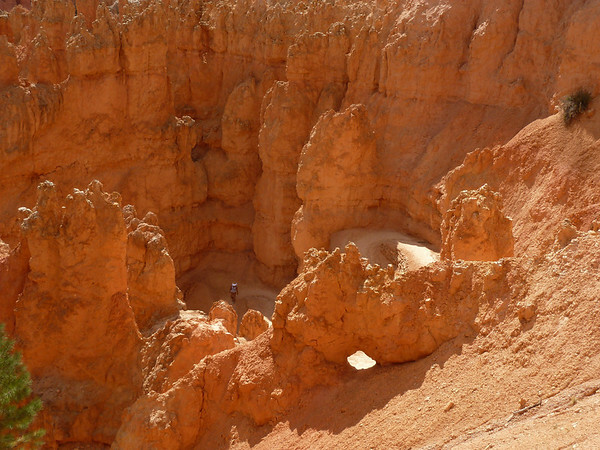 People are sparse along much of this trail network and one can find relative solitude hiking through amazing formations. For me, one day was not enough. 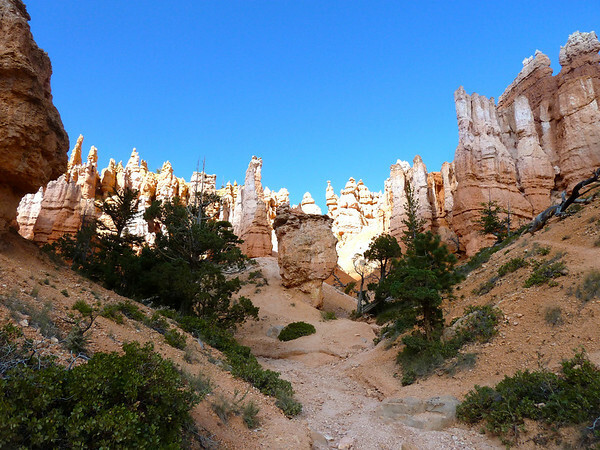 During my two days at Bryce Canyon I hiked four separate routes. 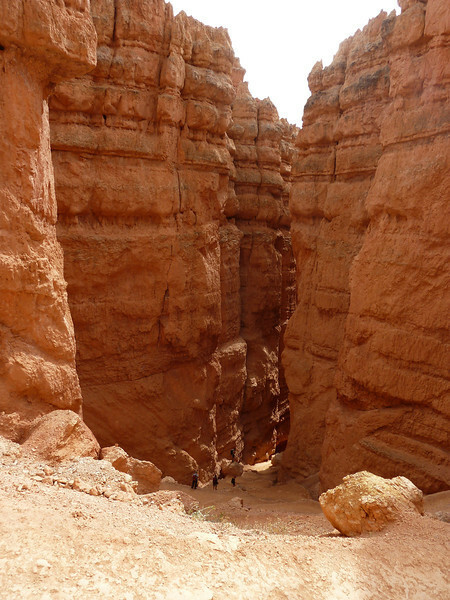 The Navajo Loop, particularly an area named Wall Street was my favorite. 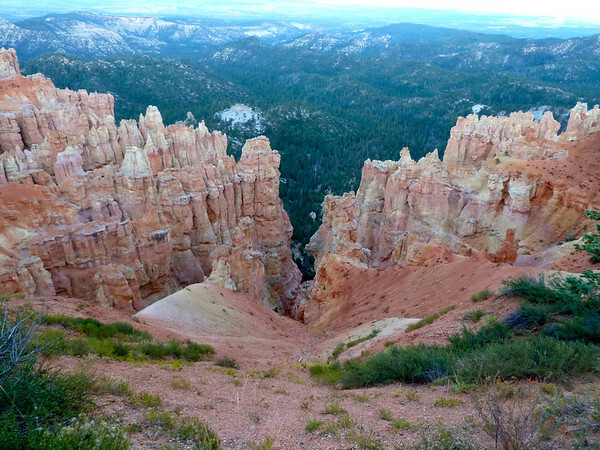 Here’s a few more shots from my Bryce Canyon hikes. A link at the end will take you to the full photo gallery. From here I will travel back to California. 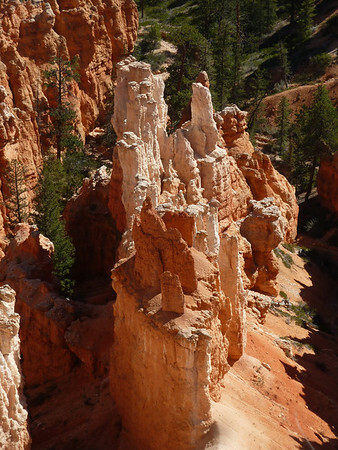 My last stop will be a prearranged camping trip with two friends in the Sierra Nevada. 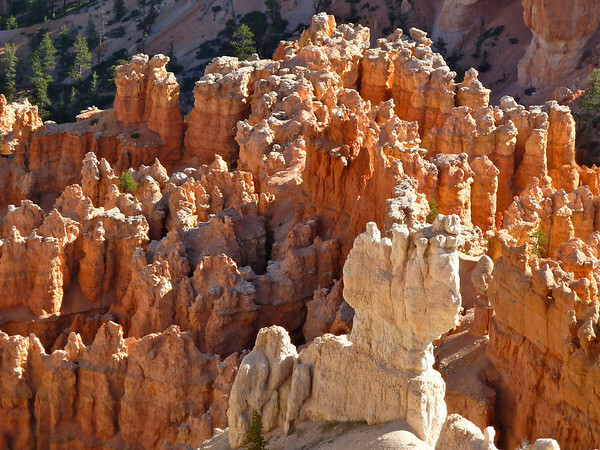 View my other photographs of Bryce Canyon National Park. 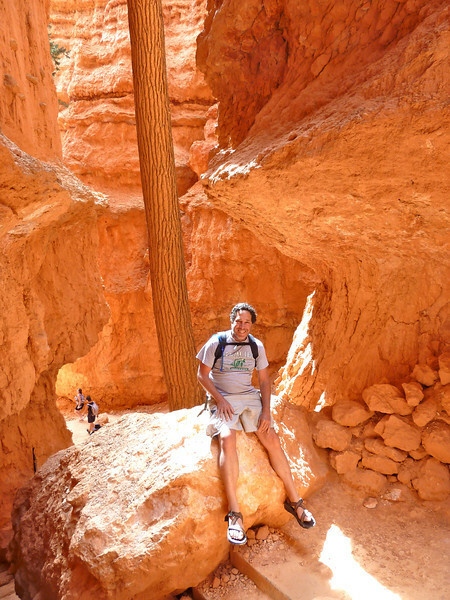 Great shots Philip…now I have another destination to add to my list! Nice photos Philip. If you ever want to go back to the Grand Canyon at another time and see something spectacular, go at dawn or dusk when it’s covered with snow. Thanks Jim. Grand Canyon with snow sounds awesome! I like the rebel shot. Thanks Elinor. 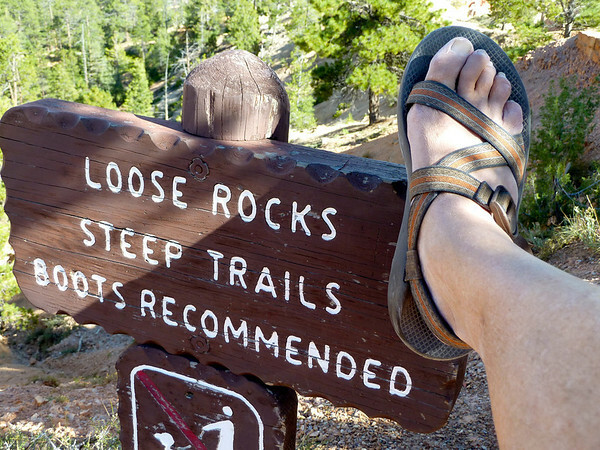 I had no problem doing the hikes in Chacos; and besides, it was a hot day.